Why Like Your Smile When You Can LOVE It? The name “cosmetic dentistry” leads most people to think of its benefits as strictly relating to appearance. Actually, there’s truth behind the idea that the healthiest teeth also happen to be the most beautiful ones. Although many of our patients pursue cosmetic dentistry in Celina, TX to enhance the look of their smile, they’re often pleased to discover that doing so also benefits the overall health of their teeth and gums. Dr. Angela Ganjoor explains the link between fashion and function as it relates to your smile. No two patients have the same exact idea of what constitutes the perfect smile. Fortunately, we offer several treatments to address virtually any cosmetic defect that holds back your smile. Teeth whitening, the single most popular cosmetic procedure in the country, is a favorite among all types of patients. For example, we often receive inquiries from newly engaged couples, job seekers, and others who wish to treat brown or yellow stained teeth. Stained tooth enamel may not be harmful to your health, but it certainly isn’t flattering. Sometimes, years of smoking tobacco or supping coffee leaves stains too stubborn for removal. When professional whitening isn’t enough, Dr. Ganjoor may recommend Vivaneers, a unique treatment that uses ultra-thin layers of porcelain to sculpt and enhance teeth. This procedure’s popularity stems in part from its minimal prep and maximum impact. Even the slightest hint of crowding or crookedness in teeth is enough to cause embarrassment. What not everyone realizes is that crooked, overlapping teeth are more difficult to keep clean than teeth that have been straightened. The crevices between these teeth are all but impossible to reach with your toothbrush, and even dental floss is difficult to maneuver into these areas. As a result, patients with crooked teeth often experience periodontal disease, an infection marked by gums that bleed during flossing and brushing. Others develop chronic bad breath. 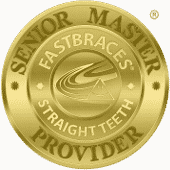 Fortunately, Dr. Ganjoor offers Fastbraces, an accelerated orthodontic treatment. If you feel that your gums are too prominent when you smile, you may be a candidate for laser gum contouring. Patients taking certain medications may experience gingival overgrowth as a side effect, which interferes with oral hygiene. Excessive gum tissue also creates the impression of an unbalanced, asymmetric smile. By carefully sculpting a more attractive gum line, Dr. Ganjoor can restore the beauty of your smile while reducing your risk for gingivitis and other oral infections. Questions about smile makeovers in Celina, TX? To learn more about cosmetic dentistry, or to schedule an appointment with Dr. Angela Ganjoor, contact us at 214. 851. 0130. We welcome patients living in Celina, Prosper, Wylie, Allen, Pilot Point, and the surrounding areas.